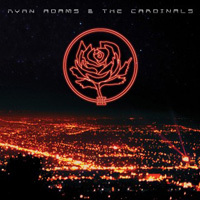 “You probably heard I went away,” Ryan Adams sings in “Breakdown into the Resolve,” the first track on III/IV — his ostensible comeback record. After a couple of comfy, commercially successful albums released relatively free of drama, the singer took time away from music — resting his Ménière’s-addled ears, writing a pair of books (which I, fanboy, read), doing an art show, skateboarding with No Age, getting married. You know, typical stuff. Free from his label shackles at last, he self-released Orion — a relatively serious (and pretty good!) sci-fi metal concept album earlier this year as a sort of test of his independence. It sold out within days. Now, we have III/IV, a two-disc set recorded during the Easy Tiger era (and before that album relaunched him into the mainstream’s good graces, presumably keeping him from dropping, say, three records in a year again). Expectations play a bigger role than most would like to admit with music; with Adams, context is everything. III/IV is a Cardinals record, but it’s far from the dusty Grateful Dead ramblings of Cold Roses. The album shares a track and a mood with the unreleased but digitally (illegally) available Let It B-Minus and Fasterpiece, which he recorded in 2006 (probably?) as Sad Dracula, albums driven by electric guitars and charged with Replacements influence. When all is said and done, albums like Let It Be might be Adams’ most powerful touchstones: Paul Westerberg’s ragged growl and the band’s blend of propulsive rockers and frayed, reverb-heavy ballads lay a shadow on Adams efforts from the post-Gold paranoia of “Nuclear” and the Pinkhearts sessions through Rock N Roll to what must’ve been an emotionally fraught 2006. III/IV captures Adams freshly sober and, as likely, heartbroken once again. Given the other two albums of material (that we know of) that he could’ve drawn on from here, III/IV essentially proves once more the man is an endless fountain of songs — good ones. While songs like “The Crystal Skull” and “Star Wars” poke fun at Adams’ geek obsessions (if guy doesn’t own the new Indiana Jones on Blu-Ray, I’ll eat my Whiskeytown LPs) without indulging them, this is relatively serious material — “Lovely and Blue” finds him standing strong against a lover who’s left him for another, “Death and Rats” considers “a reflection of my past,” oh my God, whatever, etc. The majority of the set’s 21 tracks are so instantly familiar you’ll have to check your iTunes to make sure you didn’t already have them, from the mid-tempo chugging of “Happy Birthday” to the Whiskeytown arpeggios of “Gracie.” The songs veer between body-building heaviness (“Icebreaker”) and a soft touch (“Death and Rats”) but always return to a rewarding, Westerberg-friendly middle ground — and on “P.S.” and “My Favorite Song,” among others, skyscraper choruses that have ruined my throat on multiple singalong drives already. These are songs, lyrically and emotionally, about running in circles as love stands in the center, close enough to touch but impossible to hold. What makes III/IV more than just another entry into Adams’ considerable catalog is the undeniable feeling that he’s smiling through the tears. Humor is just as valuable a response to pain as misery — if Adams is occasionally misunderstood (or underestimated) for this, we know better. As the Cardinals reach skyward for harmonies on “Death and Rats” or barrel into the chorus of “Breakdown into the Resolve,” the group’s musicianship is seamless and energetic, a sports car in first gear. “Stop Playing with My Heart” is downright fun, a fine merging of country looseness and garage blisters. There’s little to find fault with here, except for, perhaps, too much of a good thing — consider III/IV, as all Adams albums should be, as the snapshot of an era, an influence, a studio session. As people making rock ‘n’ roll music, mending broken hearts, singing in harmony. I’m not a Pearl Jam fan, but that group’s fans are widely derided for confusing a diversion from early stylistic and commercial success with evolution and improvement. I’m not saying they’re wrong; I’m just saying they’re talking about the wrong band.